So I’ve finally got my hands on the ultimate version of the Roses album. The first thing that strikes you is the weight of this thing. Heavy, substantial, a quality feel and mysterious … what’s in all those pockets and sections? There so much to it that I don’t know where to start. A quick flick through trying to take it all in. First stop is the CD section at the rear. Was expecting better, more authentic artwork on the actual discs and they seem out of sync with the rest of the packaging. And what’s this? The USB lemon! Frankly it looks a bit cheap and slightly odd. However as I discovered later it’s a great addition to the package – essentially all the Collectors Edition content in digital format plus a few extras only available on the USB. It also means the CD’s and vinyl will probably never get played! So what’s next? Flip back to the front and carefully remove the large book. First impressions are positive. Simple black embossed cover, slightly let down that its not hard-back but I’ll get over it. A very careful flick through and there seems to be loads of photos – seen most of them before but there’s still a few that are new to me. Lot’s of text with interviews from a huge range of people. One thing catches my eye: interviews with Ian and Mani, a drawing and poem from Reni and nothing from John! Surely not! Flick through again and sadly there’s nothing from John. Disappointed. Still there’s plenty of reading to do and I’ll look at the content in detail later. Carefully slide out the vinyl and prints for a quick look and all is looking good on first impressions. I can’t believe John Squire didn’t contribute to what is a “celebration” of the greatest album of a generation. Also can’t understand why he continues to dismiss the rumours of a renunion. The timing for an announcement is perfect and a sell out arena tour would set them all up for life! Well I can understand why he has no interest in a reunion but to not acknowledge his huge contribution to such a seminal album is disappointing. As you say it’s a moment of celebration and reflection and I hope he at least takes great personal joy in what they achieved. Nice review, kinda sums up my own thoughts on the album. Massively disappointing theres nothing from John in there. Really hope they don’t reform as it’ll more than likely ruin their godlike status in my mind, although if they do, i’ll do anything for a ticket. I havent noticed that – good spot. I’m guessing the CD is the full length version and usb 7inch. Odd that there different though. One thing I’ve noticed is the version of Full Fathom Five on the CD is different from previous versions. I’ve not listened to it extensively to work out whats going but it seems different from versions I’ve listened to in the past. At a guess it could’ve been some compilation version I’ve been listening to and this is the original 12inch. I’m not sure without a full investigation. If anyone can shed any light on these discrepancies and any other variations that would be great! 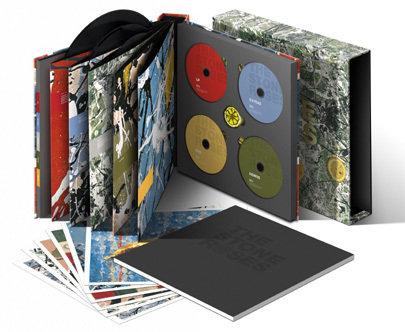 Yeah, I noticed that about Full Fathom Five too and am intrigued as I’m sure the 12″ version was the same as the version on The Complete Stone Roses (tho memory doesn’t always serve me as well as I’d expect). 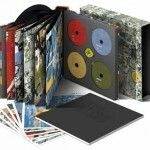 The one on the collectors’ edition is very dubby and effect laden – a work of beautiful random precision really. I initially wondered what Jon Savage meant in his superb and inciteful review in Mojo when he referred to the ‘sweetened version’ of Full Fathom Five being absent as I wasn’t aware of any other versions. Would be eager to find out where it comes from – is it a newly uncovered or remixed version, either way it fits in more with the nature of Don’t Stop and Guernica in that it is a backwards track with additional production elements added (as opposed to the normal version of FFF which is essentially just Elephant Stone backwards and unadorned). I think it’s time we reappraised the backwards tracks – especially as Leckie has done a wonderful job of clarifing, uncondensing and uncluttering them – and saw them as delightful examples of post-krautrock Mancunian sound-art collages. In a sense, aural manifestations of Squire’s accompanying artwork! Done a little investigation on the ‘new’ Full Fathom Five. The only version previously released which this may be was on the 7 inch single – this has been noted to be different from all the other versions (12inch, album compilations etc) so it’s possibly this version. Unfortunately I don’t have the 7 inch to check! If anyone does please have a listen and let us know. One things for sure the version on the 20th Anniversary edition is the best version I’ve heard. Unlike the more commonly heard standard straight reverse of Elephant Stone this has had work on it along the lines of some of the better reversed songs. Can I try and clear this up? The Full Fathom Five on the re-issue is the proper version – Elephant Stone backwards with effects that originally appeared on the Elephant Stone 12″ single. I don’t know where it came from but the shoddy version of FFF that turned up on the CD reissue of ES in 1990 (and then subsequently on The Complete Stone Roses in 95)that we’ve had to put up with since then is pretty much a straight reversal. Sounds almost like a pre fade mix, before they started work on the finished/proper version. I was relieved to hear they included the right version on the album.